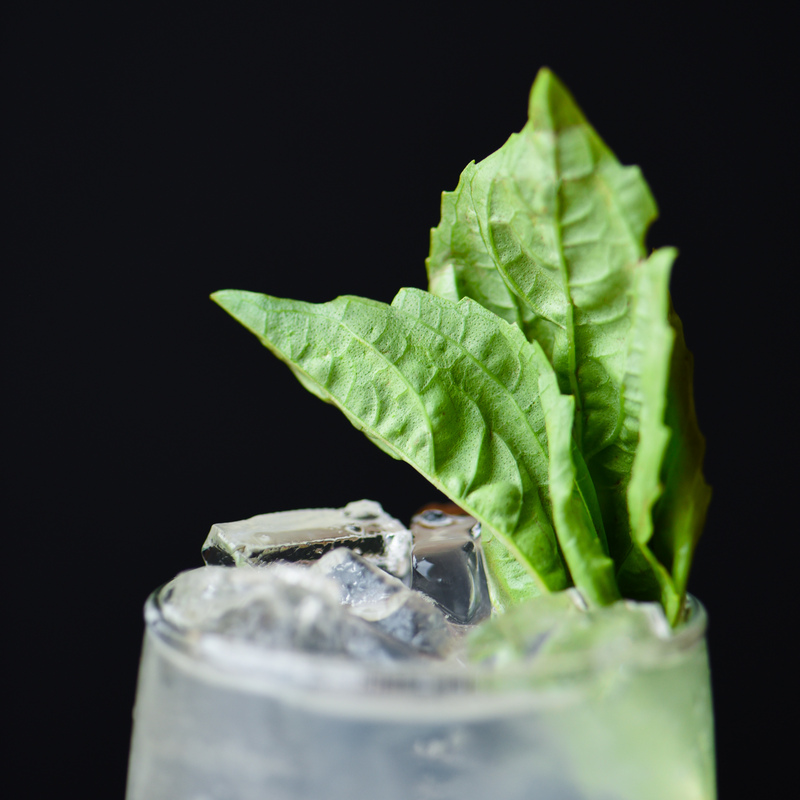 Saco OTTO to open July 5! 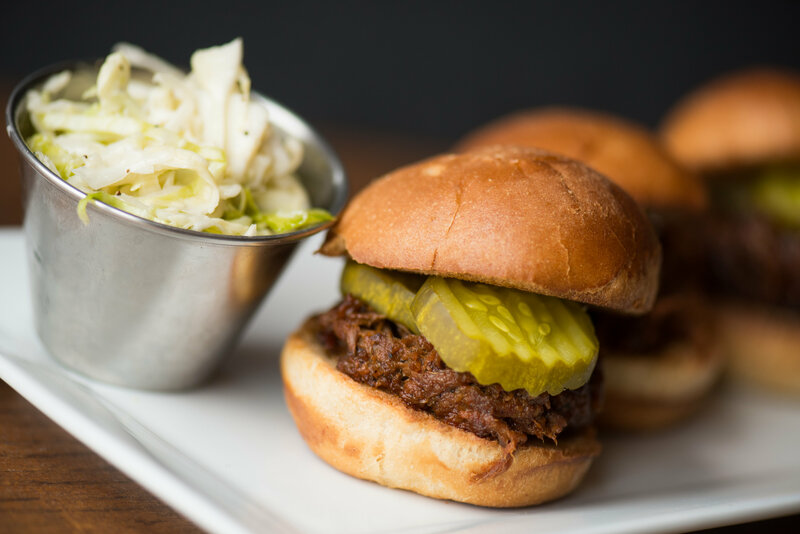 We’ve been busy putting the final touches on our new Saco location, and we’re excited to announce that we’ll be open for business on Thursday, July 5 (dine-in and take-out only). We will begin delivery operations on Monday, July 16. 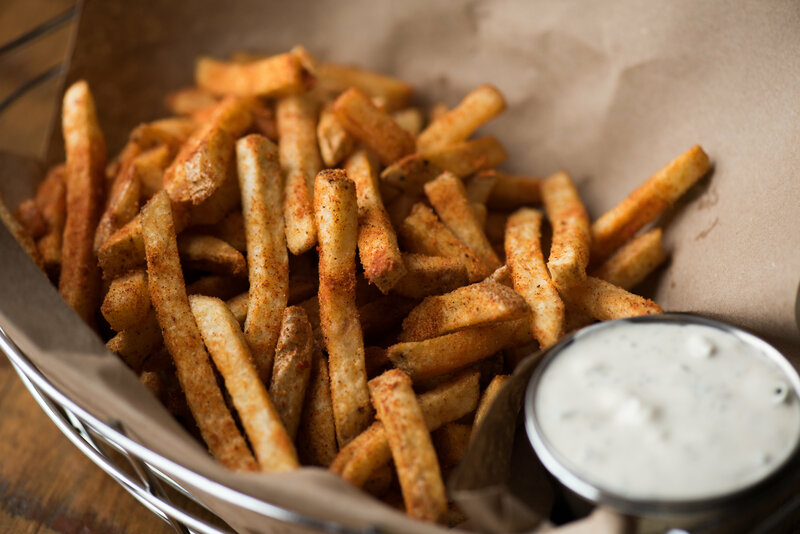 The Saco opening comes hot on the heels of our 9th birthday and the rollout of our new menu, which features 6 new pies, 2 new salads, Everything knots and (at select locations) Hand-cut fries, sliders, baked mac & cheese! We can’t tell you how thrilled we are to become part of the fabric of beautiful, historic Saco, Maine. Since we announced our plans, we’ve received an outpouring of wonderful messages, calls, emails, and texts, from Saco residents, town employees, and businesses owners. We can’t wait to finally call each of you neighbors. OTTO now serving Violife vegan cheese at all locations! 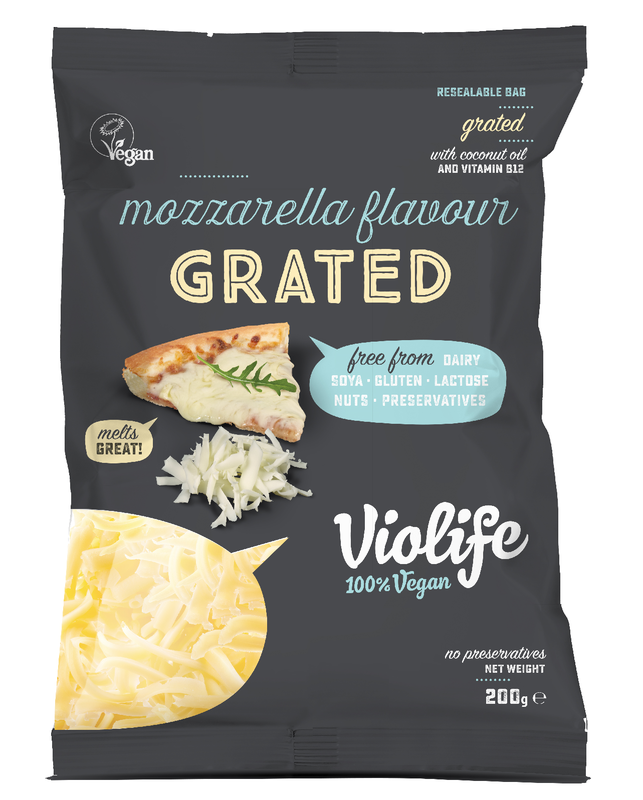 As part of our new menu rollout, we are now serving award-winning Violife vegan grated mozzarella-style cheese, which can be added to nearly all of OTTO’s signature pies for a delicious vegan pizza experience. Several of our new pies can be enjoyed with vegan cheese, including our Mango-Habanero Cauliflower with House-made Pineapple Salsa. 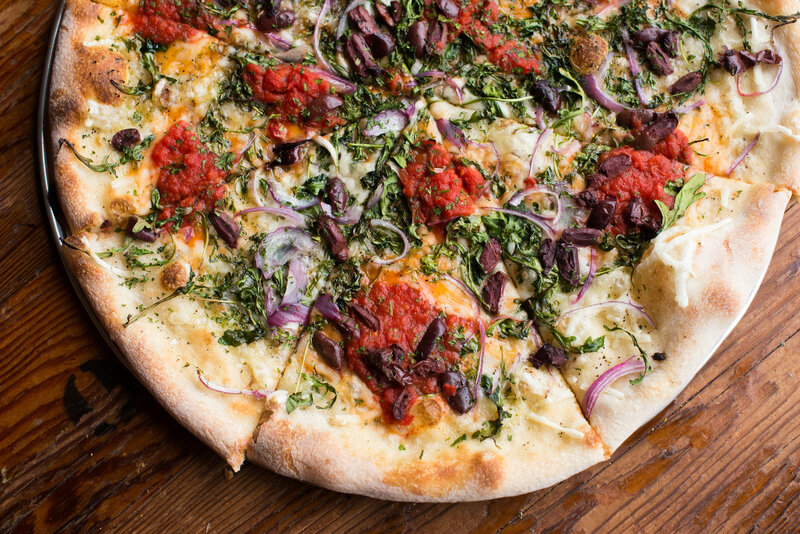 Our Margherita pie and our Arugula, Red Onion and Kalamata Olive pie are also amazing vegan options. 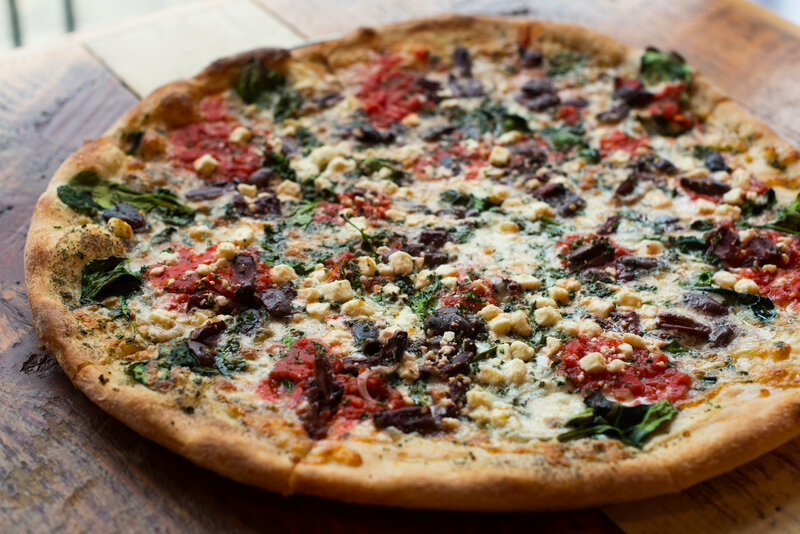 All of OTTO’s non-meat toppings are vegan with the exception of butternut squash, roasted pear, and mashed potatoes. 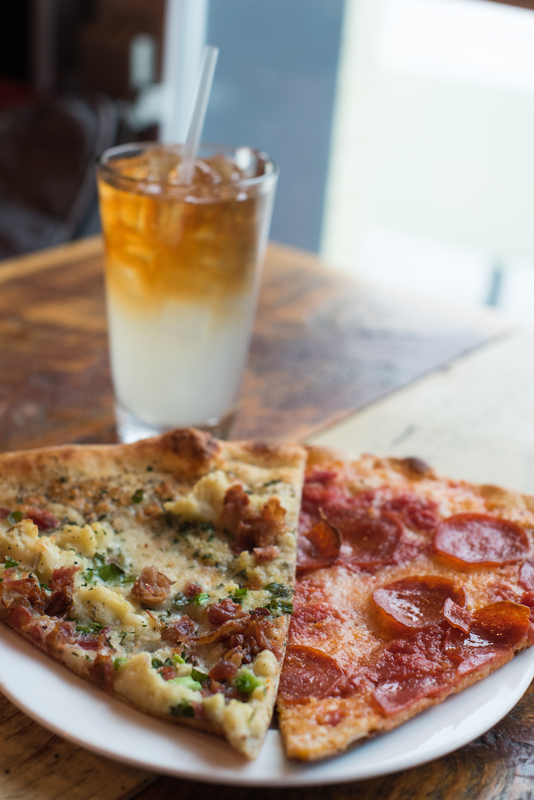 These items aside, there are literally thousands of potential topping combinations for our vegan customers. For more information on Violife’s mozzarella vegan cheese, including ingredients and nutritional info, click here. 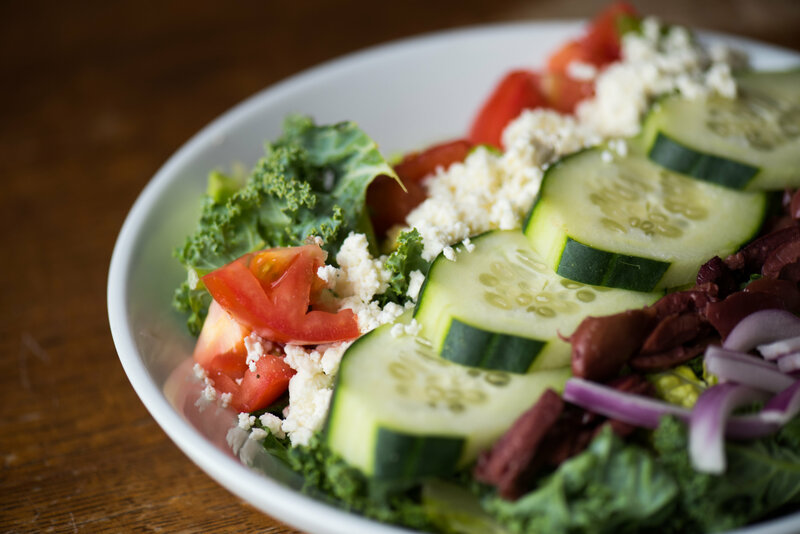 We can’t tell you how excited we are to further expand our dietary options at OTTO, and we look forward to hearing from you, our guests. Let us know what you think. We’re listening. It’s our birthday, and we have presents for you! 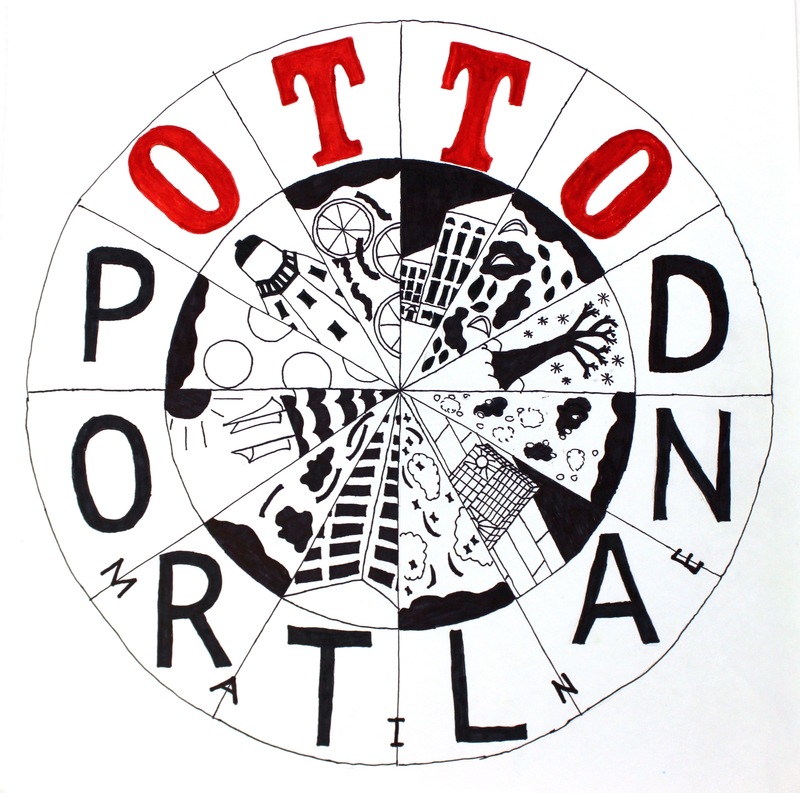 On June 18, 2009, Mike Keon and Anthony Allen opened the first OTTO, a tiny slice shop on Congress Street. Nine years, 12 locations (soon to be 13! ), and millions (yes millions) of pizzas later, we are so incredibly thankful for all the hard work and passion that our employees have put into making OTTO what it is today. But none of it would be possible without you, our customers. 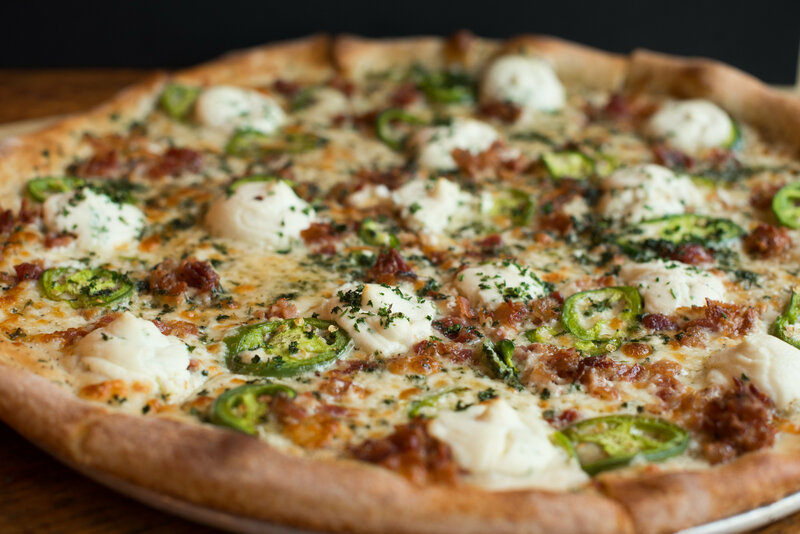 When everyone told us mashed potatoes on pizza would never fly, you proved them wrong. 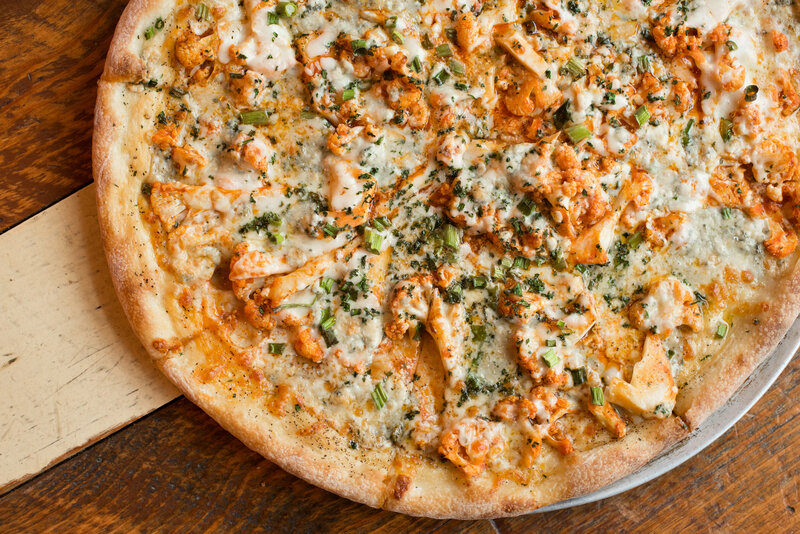 You have been with us through thick and thin (not a crust joke, we swear! ), and we greatly appreciate your loyalty over the past nine years. 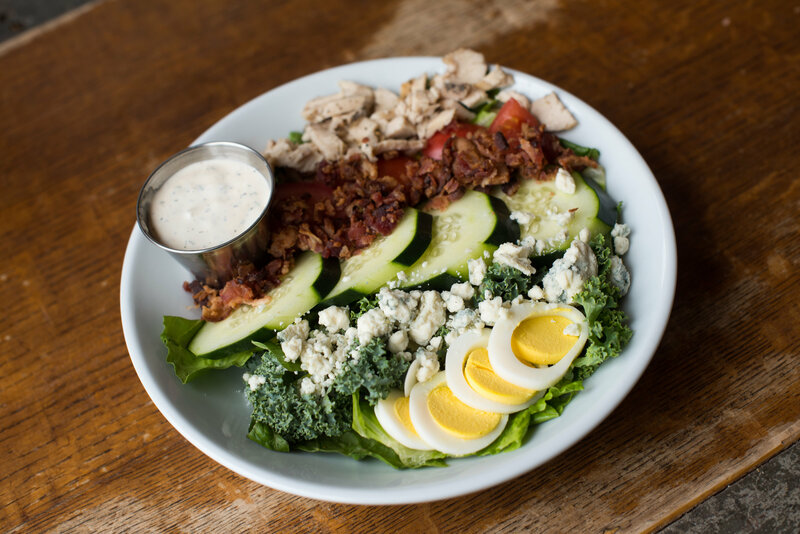 Note: All non-meat toppings (with the exception of our butternut squash and mashed potatoes) are prepared vegan. 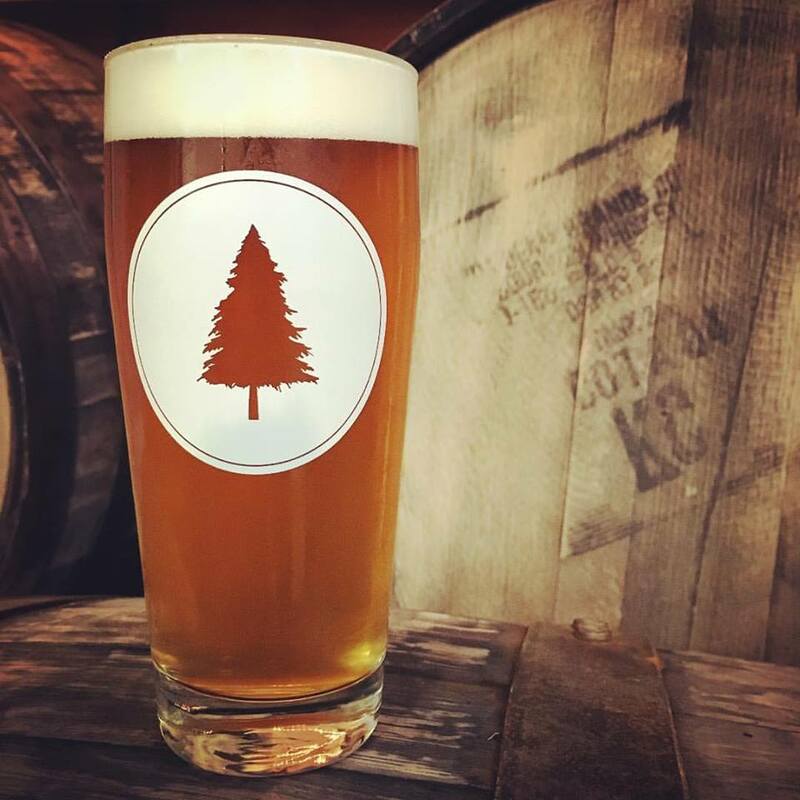 Our fourth release of our Spring collaboration with Portland’s Rising Tide Brewing Company, Oscar Tango Tango Oscar, is currently pouring in ME locations, and will be rolling out to MA locations in the coming days! 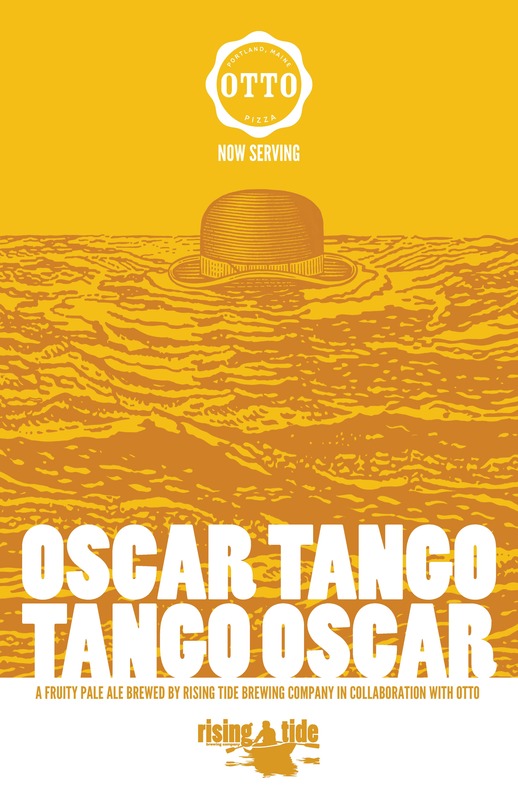 Oscar Tango Tango Oscar is a crisp, snappy, and sessionable pale ale brewed with rice. 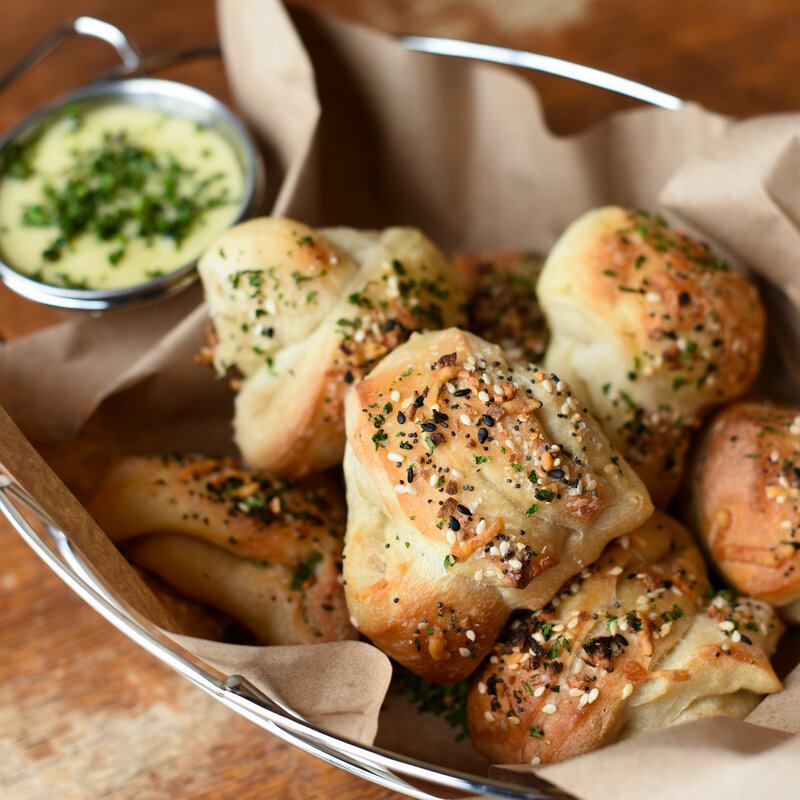 The perfect thing to pair with one of our new pies. 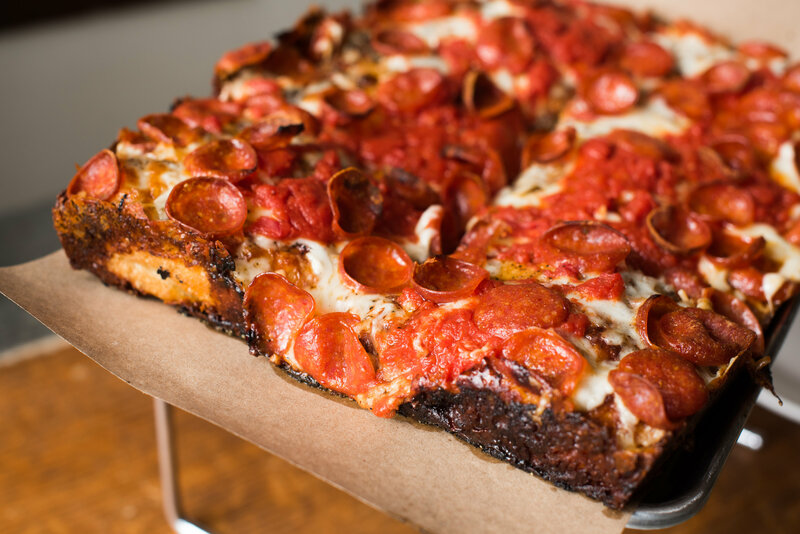 Our new pizza boxes will be hitting the streets this week! The box cover design comes from Mali, a 7th grader at King Middle School in Portland. Mali competed with hundreds of students throughout New England, made it through the voting phase, and then was named the winner by our panel of judges. Mali’s school was given $1000 towards art education, and Mali and runners up received pizza parties, OTTO swag, prize packs from Artist & Craftsman Supply. Come on out and help us celebrate nine years of OTTO!